The Lake of the Ozarks On Your Phone! 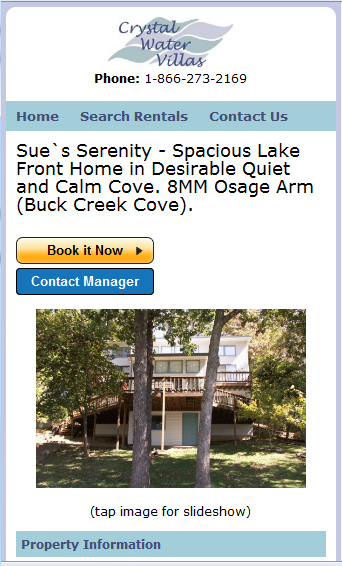 | Crystal Water Villas Blog - Lake of the Ozarks! The Lake of the Ozarks On Your Phone! Waiting in line at the grocery store? Is it taking forever to buy stamps at the Post Office? 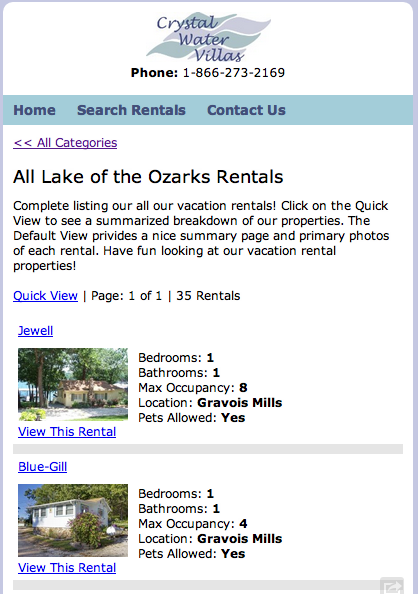 Now, we have the easiest way for you to browse our properties and to even book your next stay at the Lake of the Ozarks! Be sure to check out our brand new mobile website. Access our vacation rental, browse all of our properties, find out what to do at the lake, and more. Our website is safe, secure, and capable of booking any stay with us. Simply go to www.crystalwatervillas.com/m/ from your mobile device.